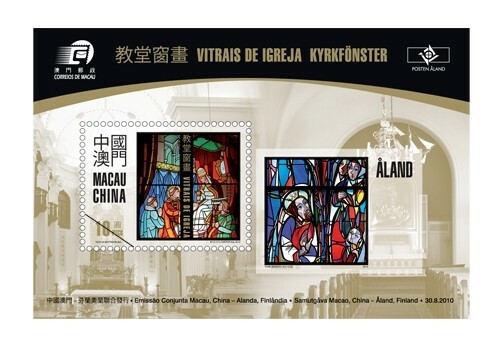 The first joint issue between Macao Post and Åland Post, Finland, with the stamp theme of “Church Windows” will be issued on 30th August, 2010. The colorful stained glass windows depict with different topics of bible stories, as a rare of religious art. 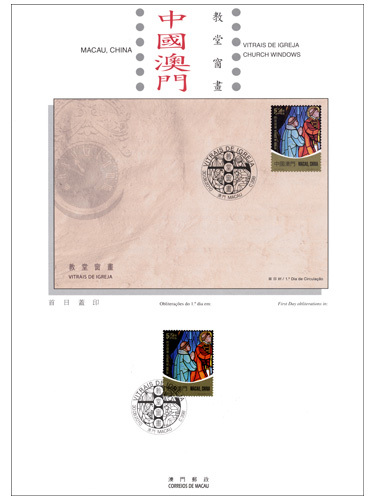 The stamp issued by Macao Post includes one stamp and one souvenir sheet, the souvenir sheet portrays the work of art “St. Lawrence Church” in Macao, and the “St. Olaf’s Church” in Åland. 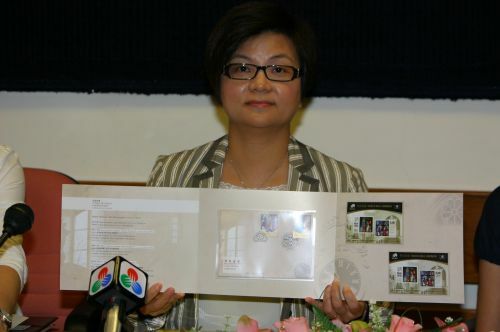 Macao Post and Åland Post are also jointly issue a presentation pack with the above stamp theme, this pack includes the respective souvenir sheet issued by the two administrations, with face values at 10.00 patacas and 1.60 euros respectively; and a joint first day cover affixed with a 5.50 patacas Macao’s stamp and a 0.80 euros Åland’s stamp will be cancelled with the postmarks of the respective administrations. Among the total printing quantity of 6,000 packs, the total of 4,000 packs to be sold in Macao is priced at 85.00 patacas each. 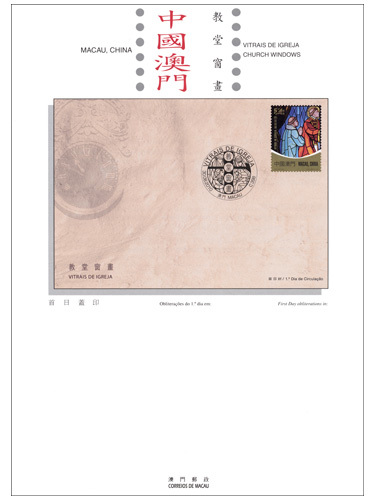 The stamp designer of this issue is Ms. Cecilia Mattsson, and the text of the information brochure is written by the “Câmara Eclesiástica de Macau” and the Åland Post. This is the seventh issue in 2010. 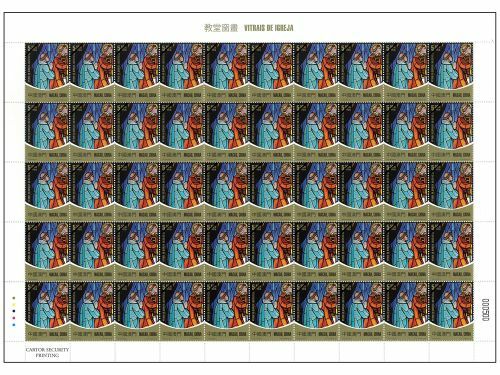 The previous issued stamps are “Lunar Year of the Tiger” on 02/01/2010, “I Ching, Pa Kua VII” on 01/03/2010, “Centenary of International Women’s Day” on 08/03/2010, “EXPO 2010 SHANGHAI CHINA” on 01/05/2010, “60th Anniversary of Bank of China Macau Branch” on 21/06/2010 and “World Heritage – St. Augustine’s Square” on 15/07/2010. 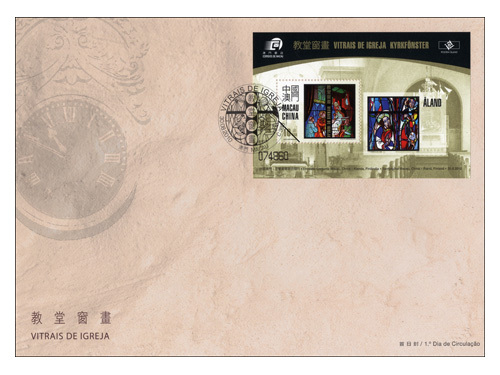 With this letter, Åland Post wishes to send stamp greetings to all stamp collectors in Macao! Our aim with this joint issue has been to offer collectors in Macao the opportunity to acquaint themselves with the Åland culture and society. We are very pleased with our cooperation with the Macao Post. In the course of our cooperation, we have discovered just how similar yet different we are. Macao and Åland are both small regions situated close to our mother countries. On the very same day that the first Åland stamps appeared, Macao stamps celebrated their 100th anniversary. We have learnt from each other and from our different approaches to stamp production and issuing. 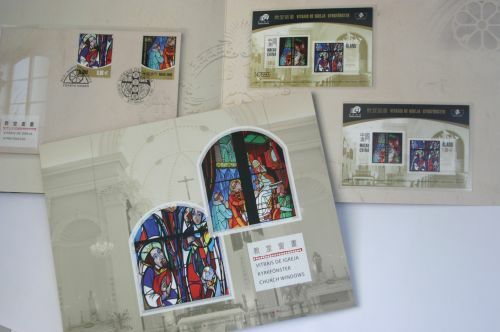 We find the result delightful; the miniature sheets and stamps featuring church windows as well as the joint presentation pack form a representative whole. 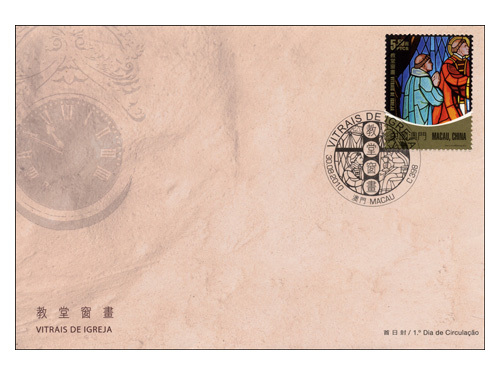 With our joint issue, we have showed the philatelic world that Åland and Macao are near neighbours as far as stamps are concerned, albeit far apart geographically. Many warm greetings from Åland! 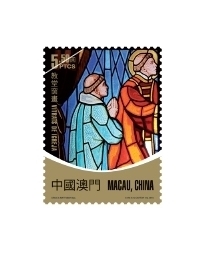 In order to develop the Consignment Service of Philatelic Products, Macao Post has been actively seeking cooperation opportunities with other postal administrations. 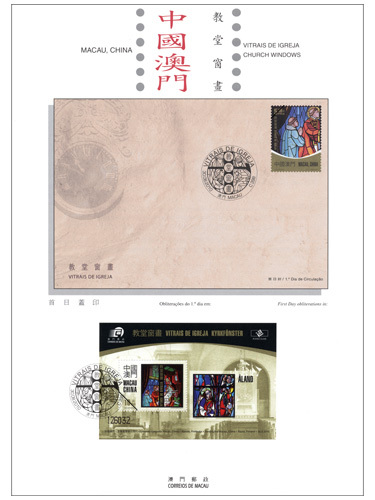 Besides the philatelic products from Hong Kong, Portugal, Singapore and Canada, etc., the Aland Post products are now available at our Philatelic Shop. Collectors are given a more diversified choice and opportunities to enrich their collections.